Welcome to the 2018 online conference! The conference is now closed. Welcome to the 21st ISAD Online Conference #ISAD2018! The conference runs from October 1 until October 22, International Stuttering Awareness Day. Our mind is a beautiful place where we create adventure, generate excitement and joy, and where we sometimes can get lost in pain and suffering. Our mind is where we begin to form our thoughts to communicate and share the things we hold dear with the world around us. Being able to effectively communicate involves many variables, including the confidence, commitment, and determination to say what you want, and connect with others in the manner you wish to be seen and heard. In other words, Speak Your Mind. You can download the following logos, the GIF has a transparent background and works well on different colored backgrounds. The JPG has a white background. The International Stuttering Association (ISA) is pleased to announce it will be hosting the International Stuttering Awareness Day (ISAD) Online Conference October 1-22, 2018, celebrating the 21st time the online conference has been held! A small team made up to Anita Blom, Dan Hudock, Hanan Hurwitz, Bruce Imhoff, McKenzie Jemmett, Scott Palasik and Pamela Mertz will coordinate this event, continuing the hard work of Judy Kuster who ran previous online conferences. The 2018 Online Conference will start October 1 and finish October 22, to coincide with many events around the world in October 22, International Stuttering Awareness Day. for people to participate in the ‘Talk to a Professional’ for the 2018 ISAD Online Conference. Your submission must be aligned with the theme. Where the link between your submission and the theme is unclear, authors will be asked to provide additional descriptive text explaining the relationship between the submission and the theme. If the submission is not aligned with the theme, your submission might be rejected. Your submission must be directly aligned with the theme. Papers must be submitted by August 31 and should be provided in text (TXT), rich text format (RTF) or Word (DOC/X) format. Do not submit PDF. Images can be included. Special fonts should not be used, as all papers will be presented in the same style. The team will assess all submissions and may ask for clarification, shortening or rewording if necessary. Please do not use complex formatting or language, as many visitors may not be native speakers of English. If you have something visually complex to include, convert it into an image and send the image attached to your submission. Your submission is must be directly aligned with the theme. Send all emails/submissions/requests, including your contact details, to isad@isastutter.org, so we can contact you if we need to. All submissions are due by August 31. If you intend to submit please let us know as soon as possible so we can prepare for the number of submissions. Late submissions will not be accepted. People reading the pages of this online conference may not have English as their first language. An automated translation service can be found on the right side of each page of this website. To use it on a specific page, click the preferred language. From that point on, all pages you select will translate into your selected language. Contributors to the conference are solely responsible for the information they provide. Neither the International Stuttering Association nor the Online Conference team are responsible for the accuracy of the information provided by contributors. The authors’ submissions will be permanently archived on the International Stuttering Awareness site pages for your future reference. 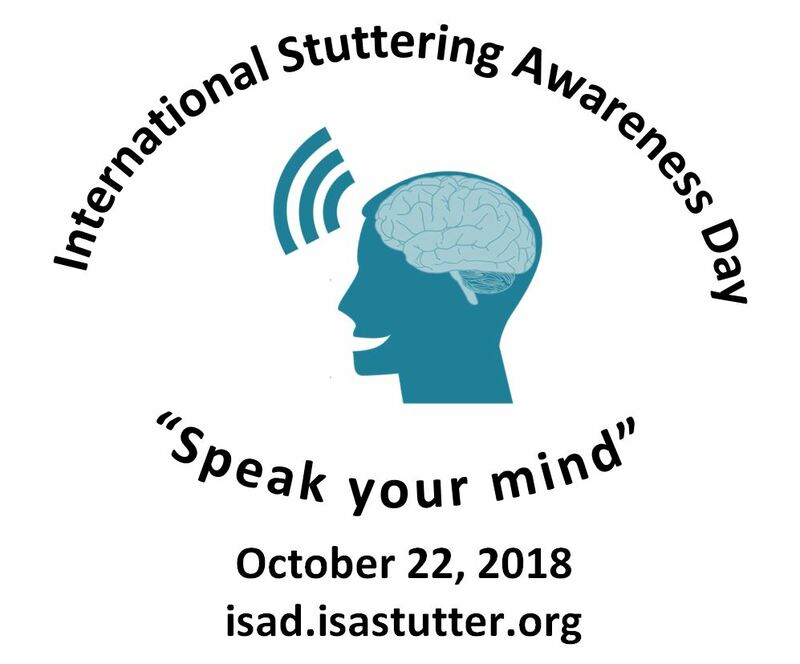 The International Stuttering Association has formed a small team made up of Anita Blom, Dan Hudock, Hanan Hurwitz, Bruce Imhoff, McKenzie Jemmett and Scott Palasik to produce and run the ISAD Online Conference. We hope we can live up to the high expectations of previous conference attendees. From October 1, submissions will be published on a variety of topics related to stuttering. An online forum, Talk to a Professional, will also be available, where you can ask questions of profressionals in the field of stuttering. You will also find a section “ISAD Around the World” where people can post and comment on different activities on, or around, the ISAD.